You all knew the recent sunny, summer weather wouldn't last, Eastleigh council did, and they kindly put up these ice warnings. 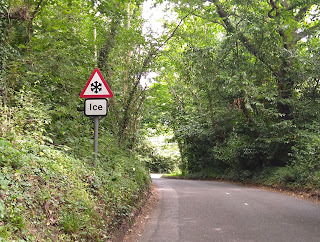 Clearly no one would be dumb enough to waste money putting up a sign when we only get below freezing a couple of days a year - would they? 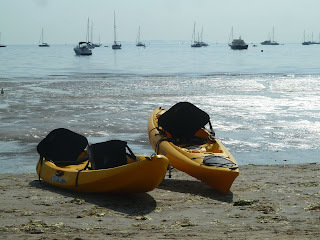 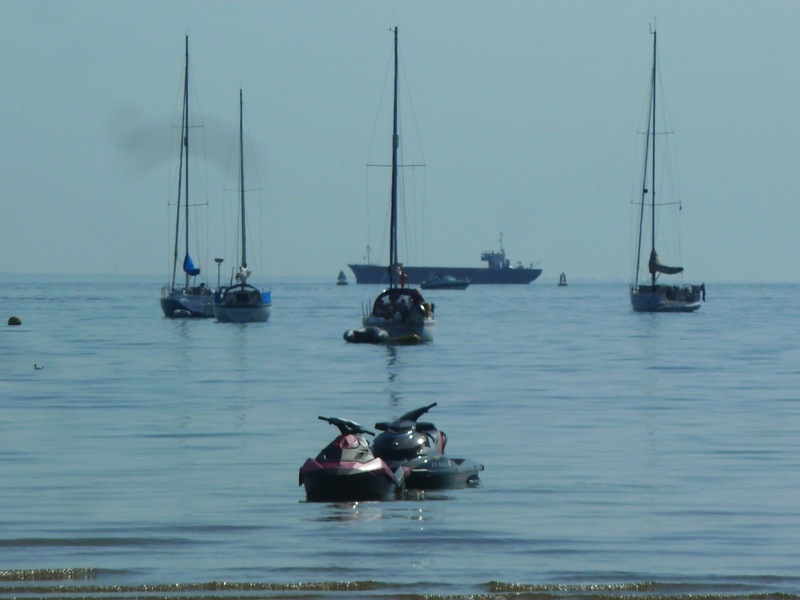 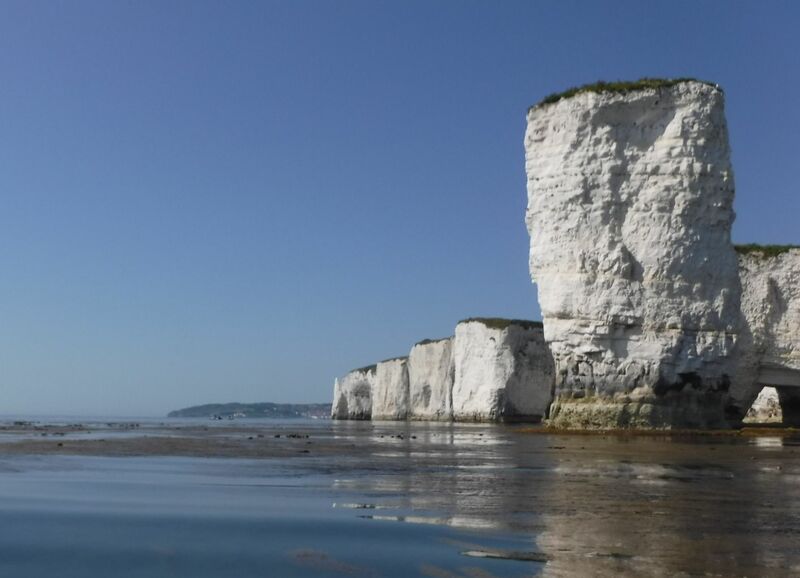 It was an unusually low tide at Studland as I set off to kayak around the Old Harry rocks which are actually chalk formations at Handfast point in Dorset. 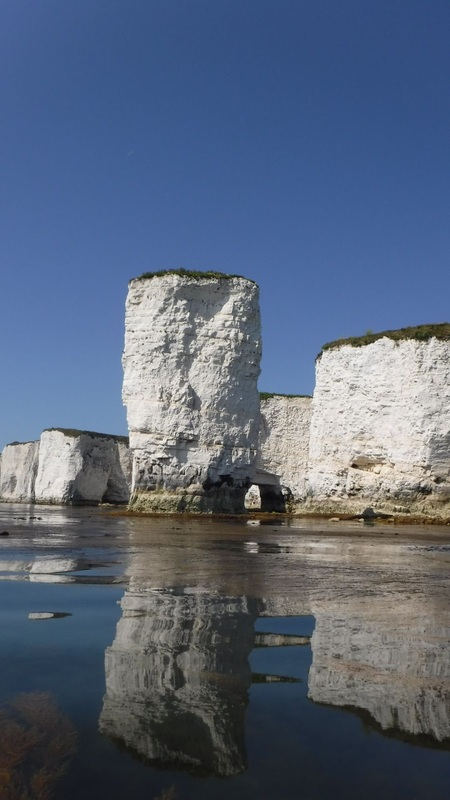 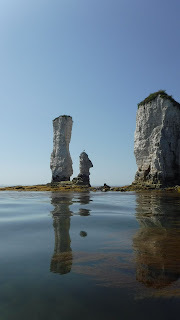 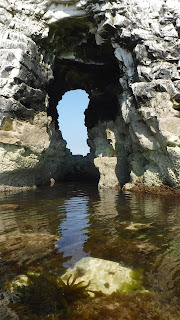 The very outer parts are described as a stack and a stump or Old Harry and his wife. 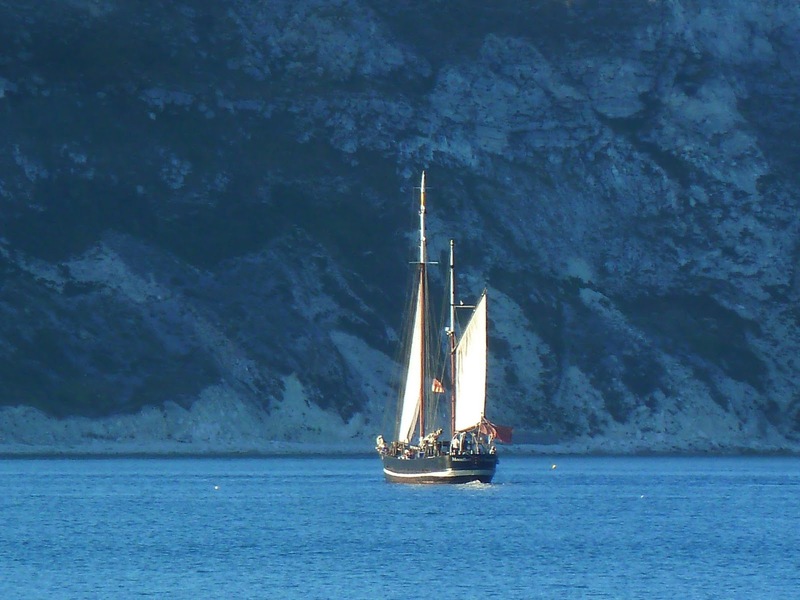 With slack tide and a calm sea it was easy to go right around the point, seen here with Swanage in the distance. Better still with the tide so low it was possible get up close and see parts which I've never had the opportunity to explore before, like some of the smaller caves and windows. The water was crystal clear. 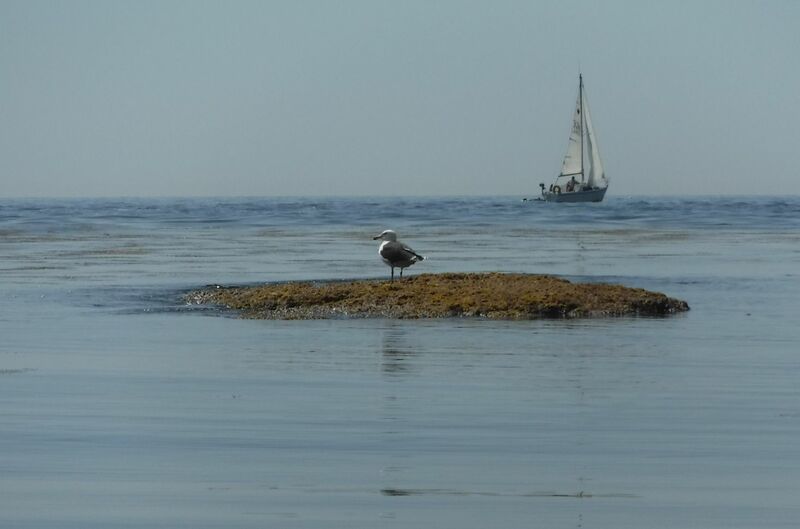 I imagine this low bank doesn't often break the surface, but it made for a nice resting spot and a good reminder to keep well off when sailing past. 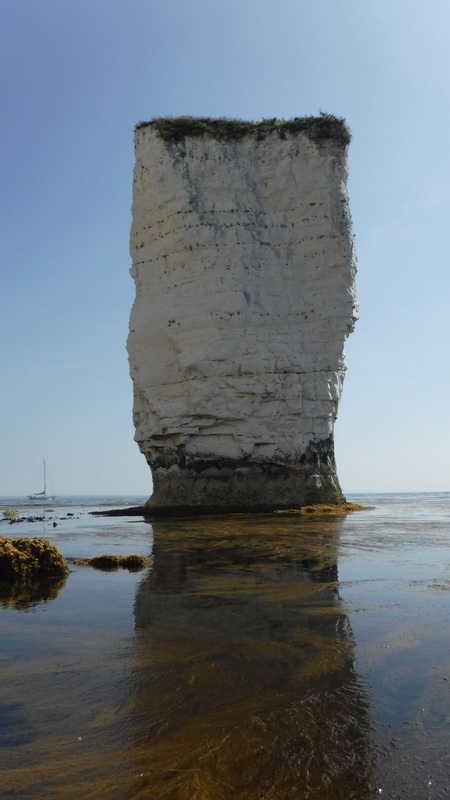 The famous stack, seen from the land side and showing the tidal range, which isn't huge a couple of meters at most. 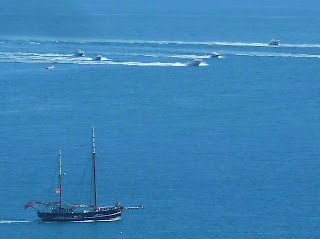 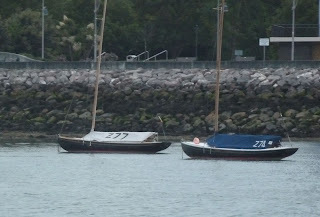 Below the "Poole navy" rushing off somewhere while the trading ketch takes a more leisurely approach. 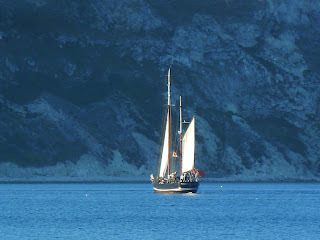 Later sailing into the early evening with those magnificent chalk cliffs as backdrop. 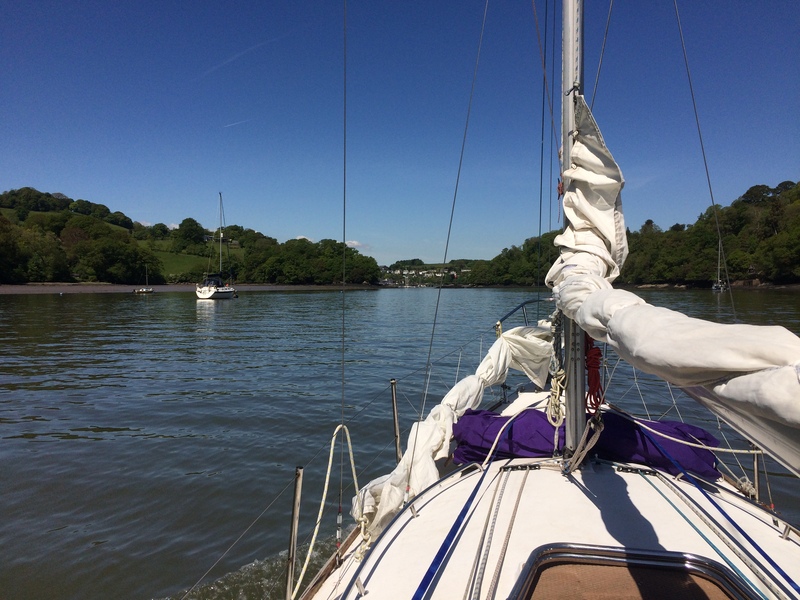 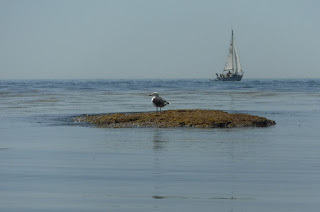 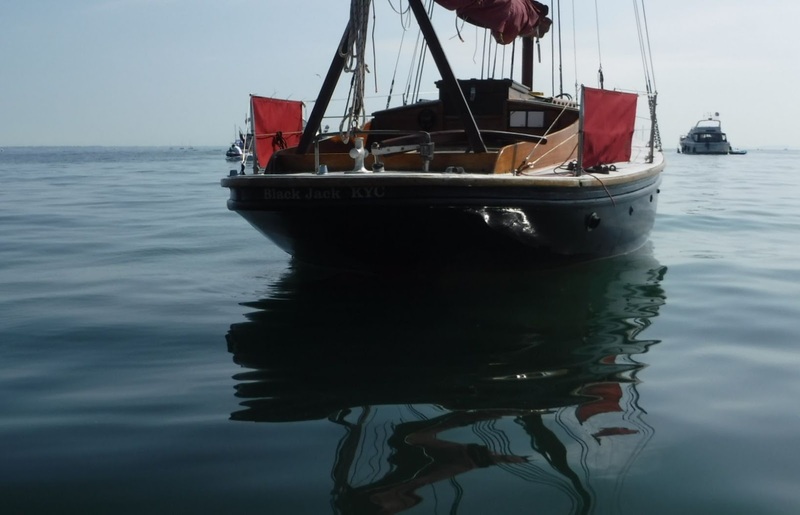 Flat calm in the morning sunshine and a super low spring tide, no prizes for guessing how we got around. Which was just as well since there was no wind and the alternative might have disturbed the peace and quiet. 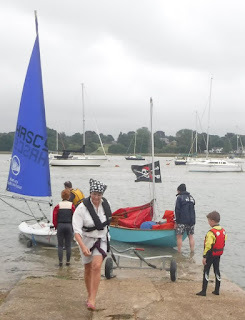 Piracy on the Hamble has been virtually unknown for a couple of hundred years or so, although there was a spate of outboard motor thefts a few years ago and back in the early noughties, the notorious one legged boat burglar was caught and convicted on unambiguous CCTV evidence. 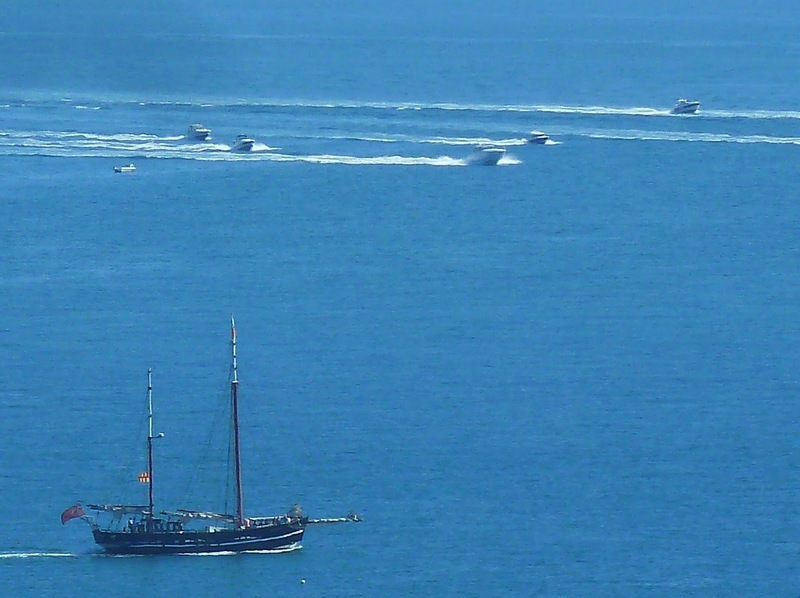 Just recently there has been increase in reported sightings of the gentlemen and ladies of fortune. 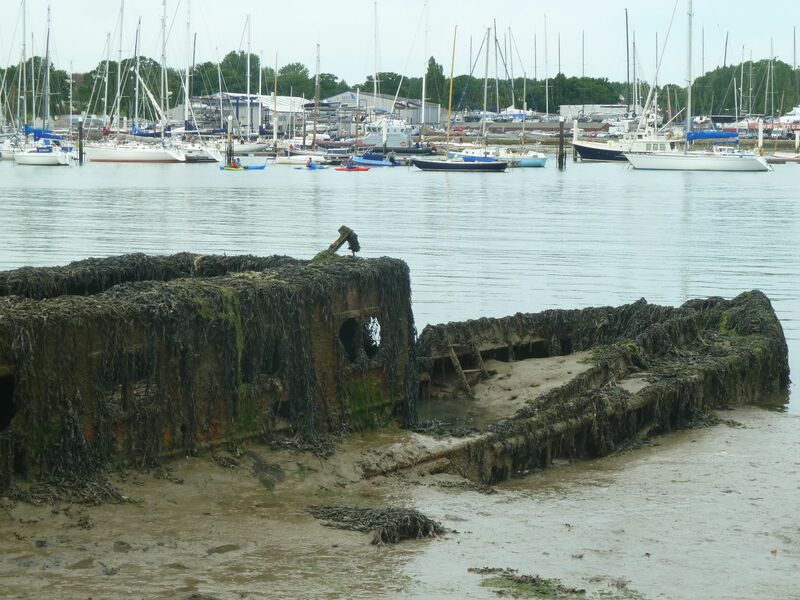 It started with the Hamble river raid, one of the gig crew left behind no doubt to guard the boat while the others were ashore for some nefarious purpose. 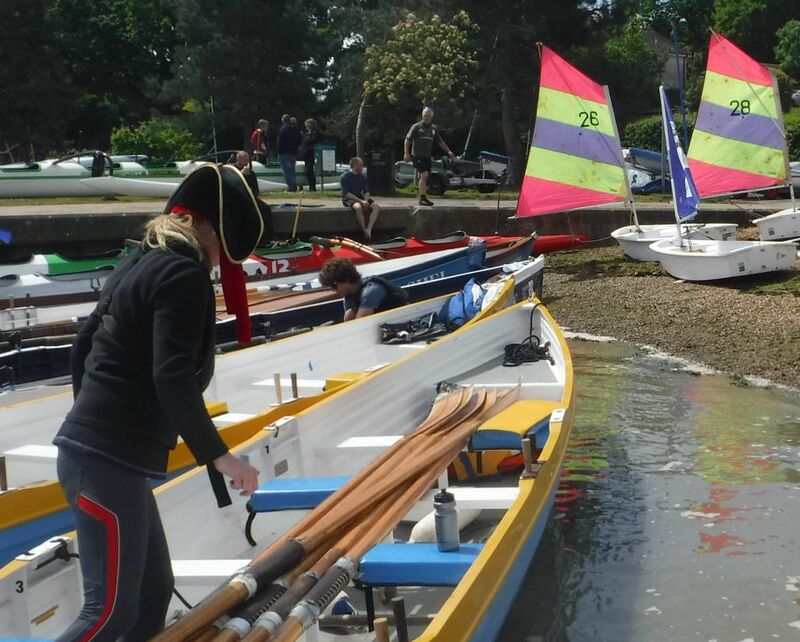 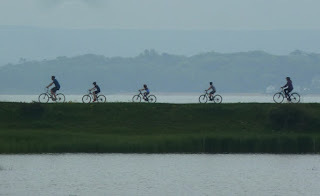 More recently some unsavoury characters were gathered at the slipway over the bank holiday. 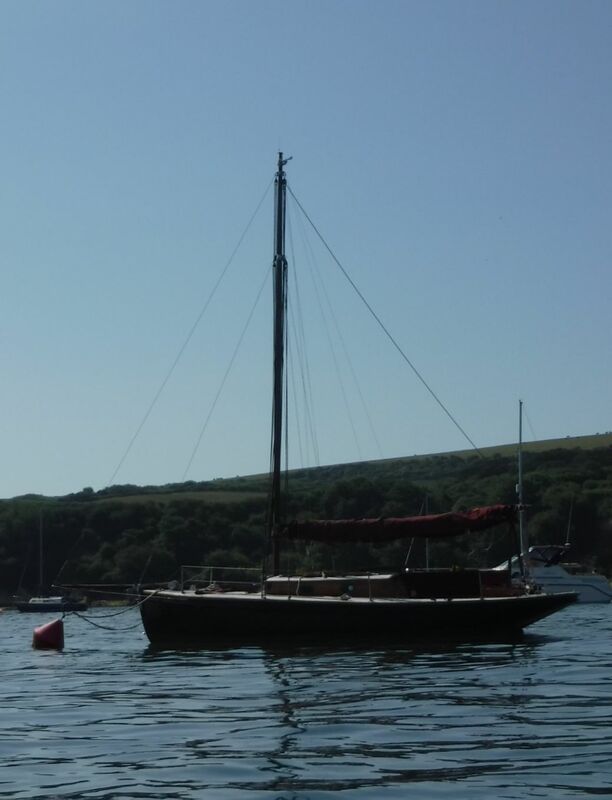 Later seen at the top of the creek with fellow pirates proudly displaying the skull and crossbones, presumably a nice quiet spot to hold a pirate council. 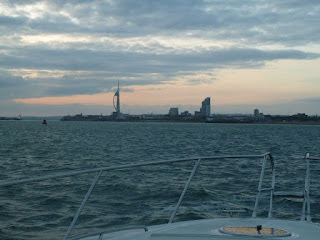 Apologies for the bad photos. 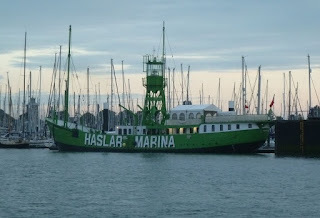 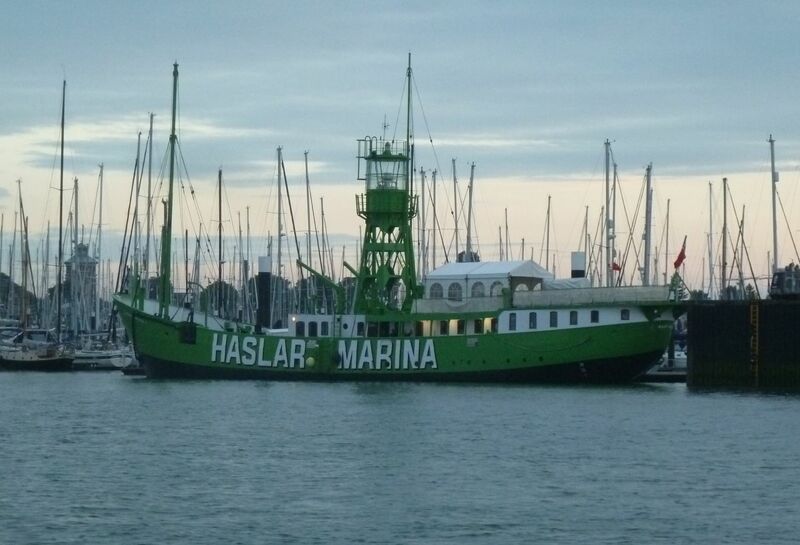 Mary Mouse, the bar and shower block for Haslar marina based in the old lightship. 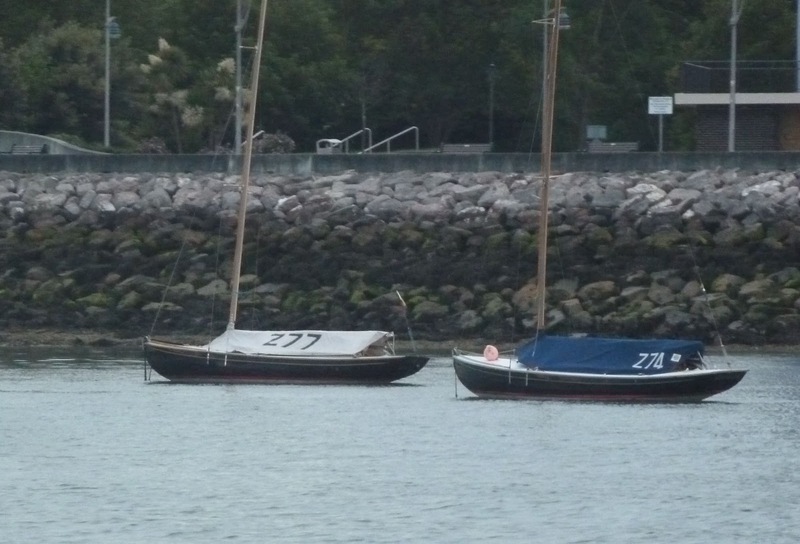 A couple of Victory class, local day boats similar to the XOD's but clinker built and I believe unique to Portsmouth. 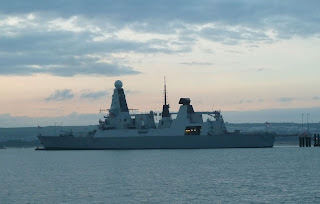 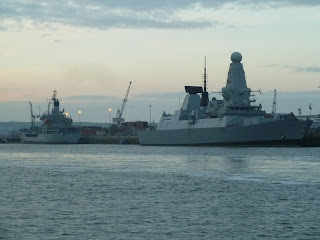 A Daring class Destroyer alongside. 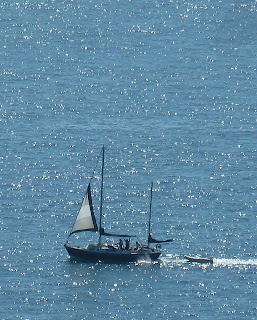 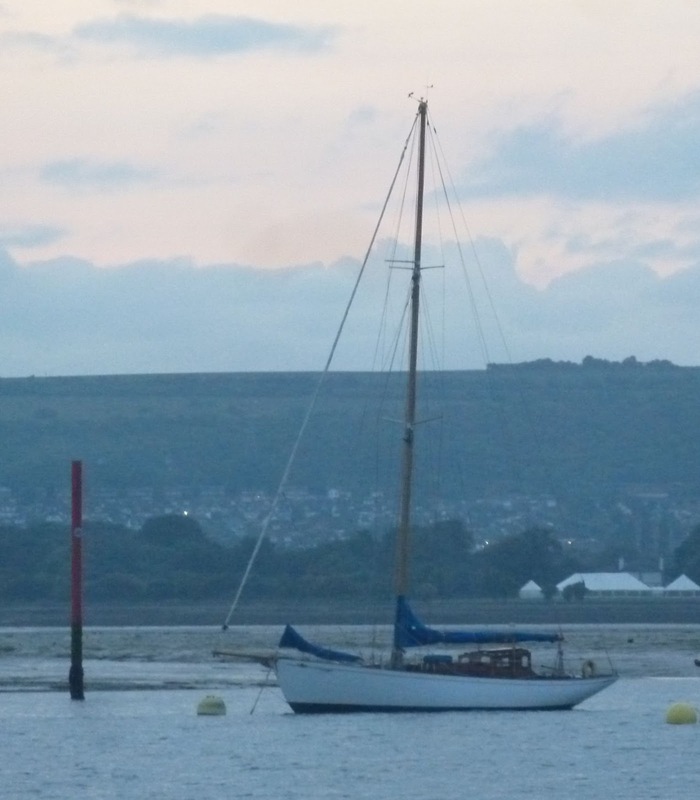 And another one out on a mooring in the harbour. 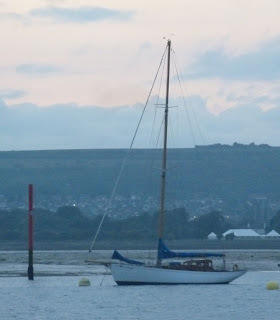 Moored in the Porchester channel a very nice sloop, sadly the light was fading. 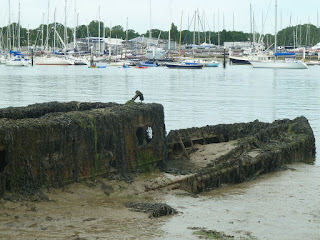 There's a poignancy to this picture that I like, the remains of a single, old working boat gradually decaying, reverting back to the elements from which it was made. While across the river in the bustling marina a new generation of pleasure boats define the changed times. 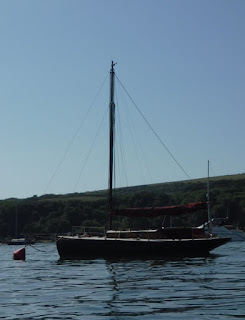 Boats have become part time pleasure craft, vessels of affection, with an altogether more trivial purpose, the old discarded and unwanted - it could be a metaphor for modern life or maybe I'm just feeling a bit old myself. 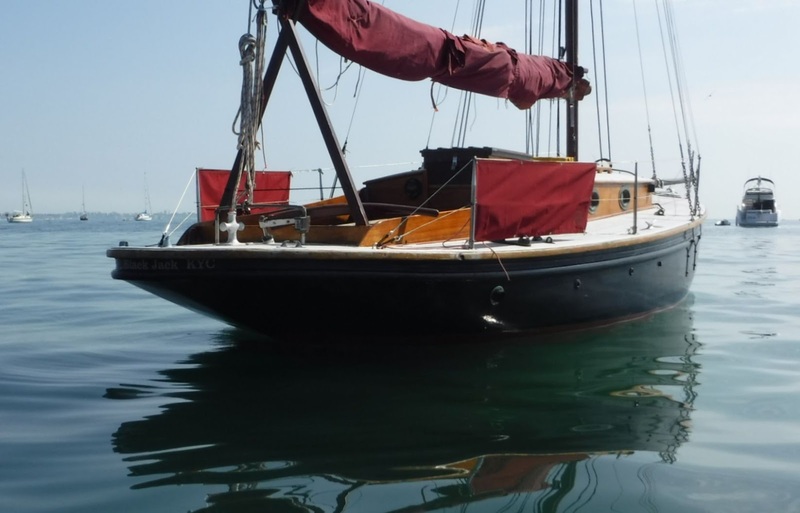 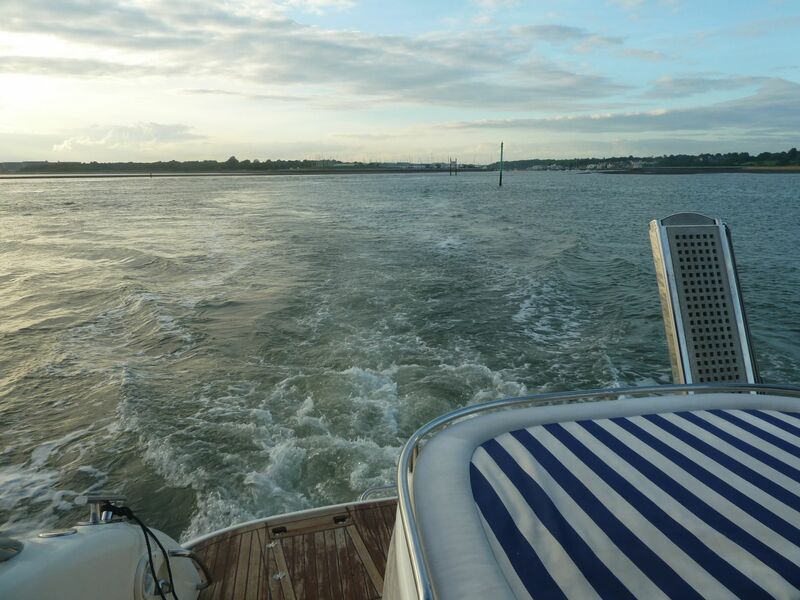 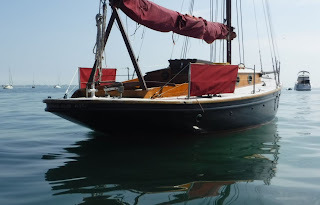 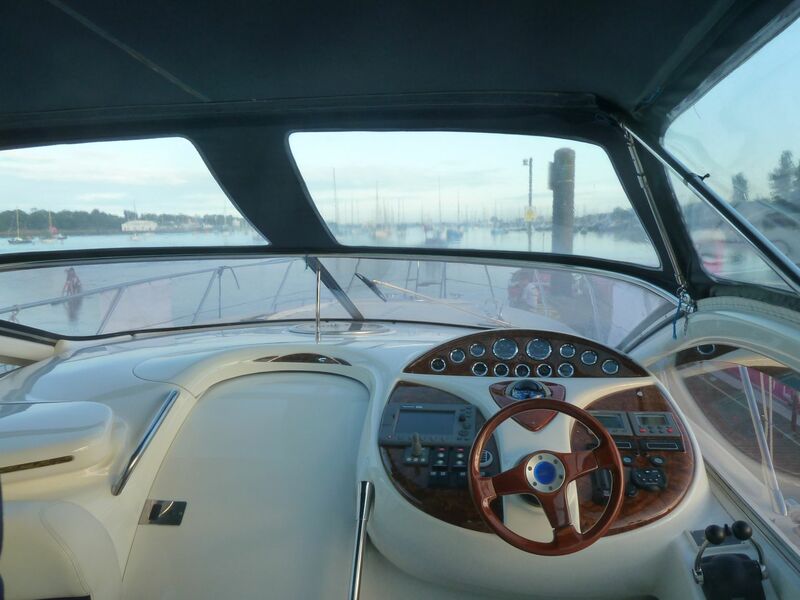 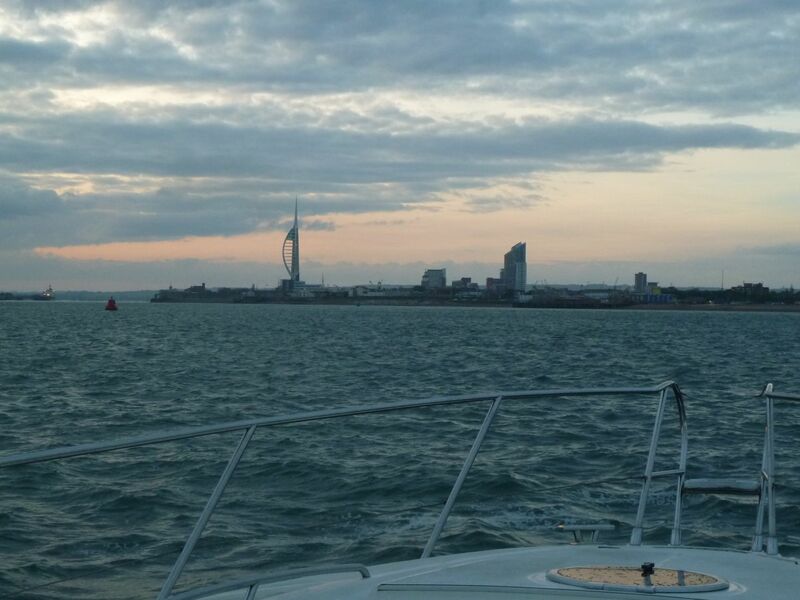 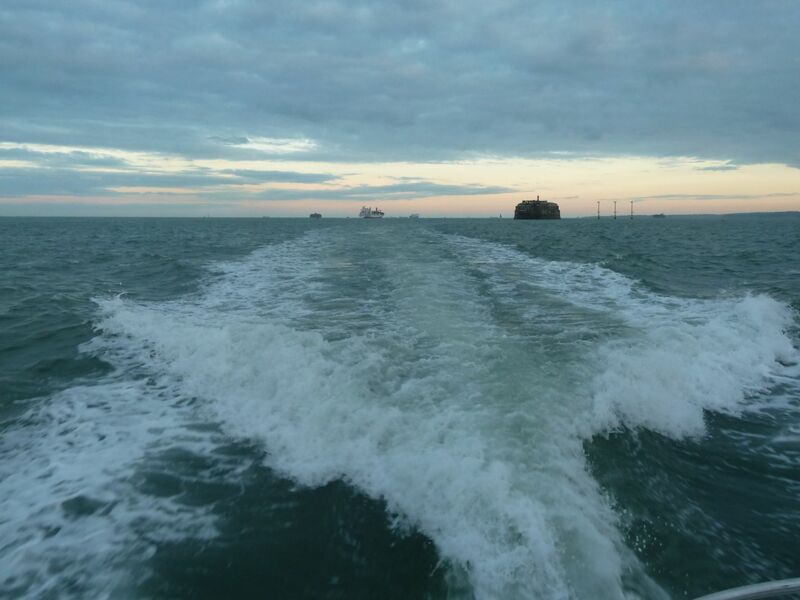 My friend Malcolm asked me to help take his boat back to Port Solent in Portsmouth, not that he actually needed any help but it was a nice excuse to go for an evening on the water and a catch up over a couple of beers. 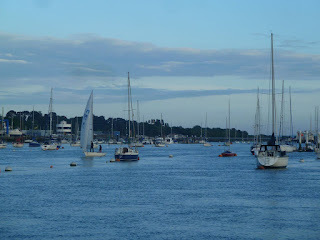 The remains of the unsettled bank holiday weather were still in evidence, but no rain and the wind was SW 15 knots or less as we left Hamble. 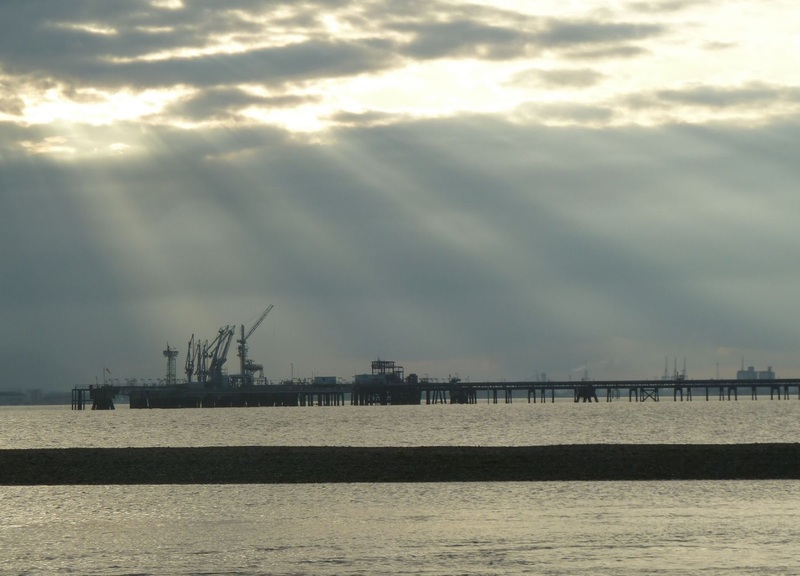 Some spectacular light breaking though the clouds, looking up Southampton water. 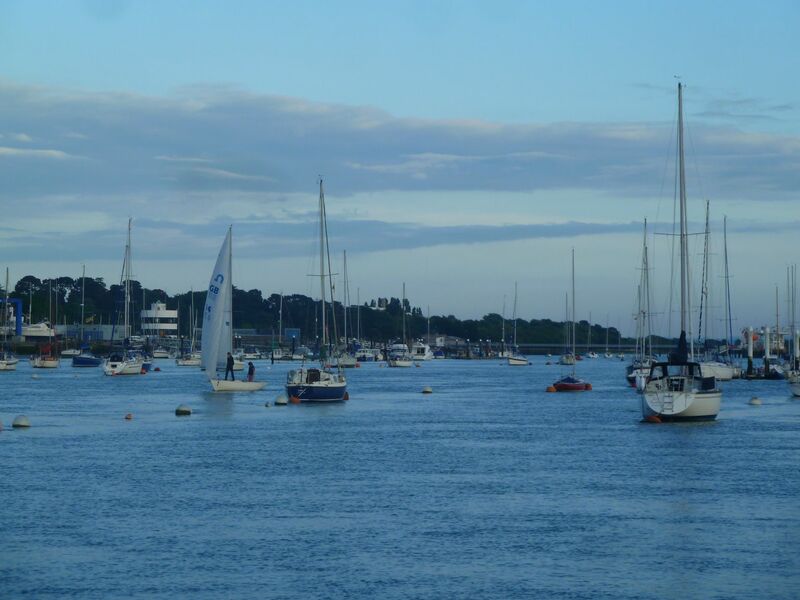 Leaving Hamble and getting used to the boat at 1200 revs. 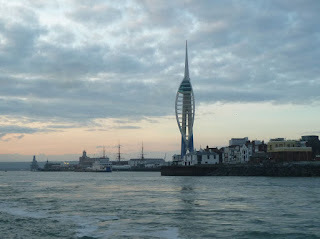 Not long after approaching Portsmouth. 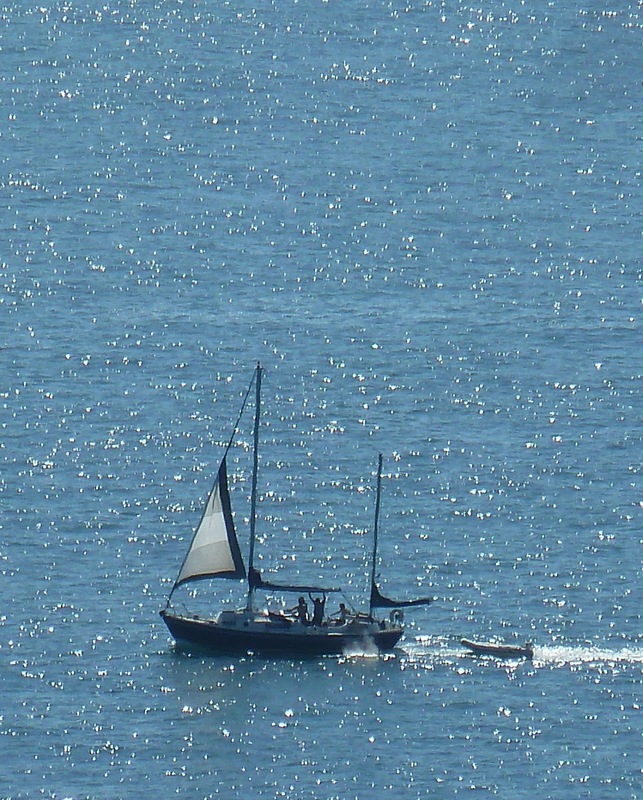 We were going a bit faster with the turbos kicked in and the boat up on the plane, I wasn't really watching the time but it was a whole lot faster than sailing. 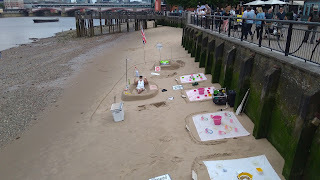 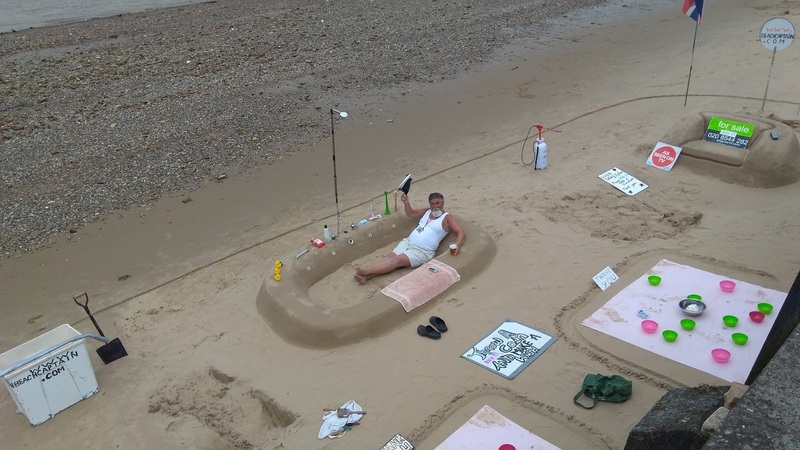 South bank celebrity The Beach Captain aka Ron was enjoying the midday low tide opportunity to create and open air bathroom experience.